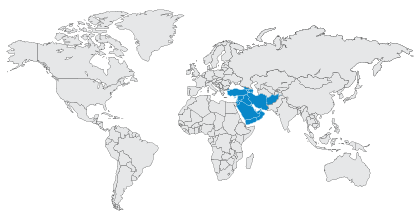 Tuesday, January 2, 2018 - Dubai, UAE - Value-Added-Distributor, StarLink has announced that it has expanded into West Africa as part of it global expansion plans and is looking to engage with interested IT Security specialized partners. 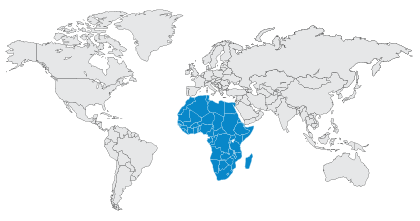 Nigeria will act as the operational hub for West Africa including neighboring markets such as Ghana. 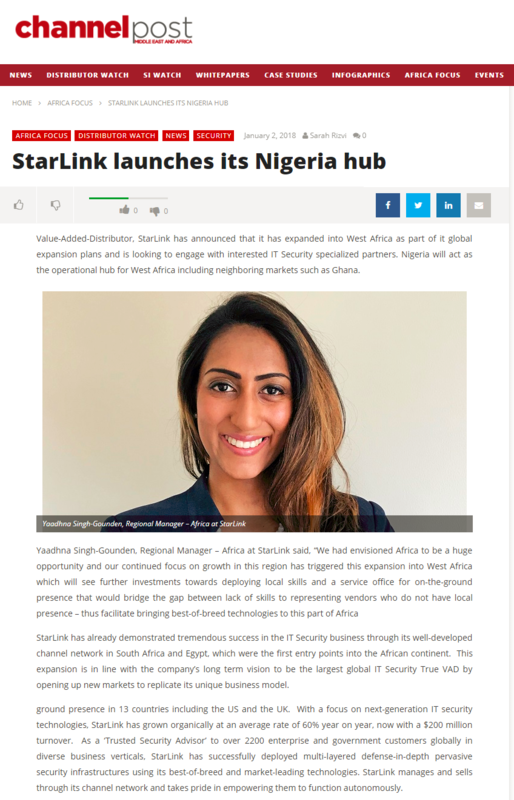 StarLink has already demonstrated tremendous success in the IT Security business through its well-developed channel network in South Africa and Egypt, which were the first entry points into the African continent. This expansion is in line with the company’s long term vision to be the largest global IT Security True VAD by opening up new markets to replicate its unique business model. 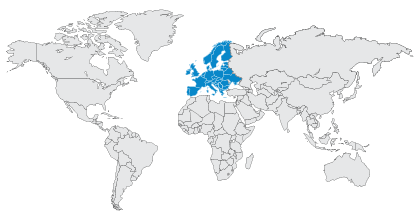 ground presence in 13 countries including the US and the UK. With a focus on next-generation IT security technologies, StarLink has grown organically at an average rate of 60% year on year, now with a $200 million turnover. As a ‘Trusted Security Advisor’ to over 2200 enterprise and government customers globally in diverse business verticals, StarLink has successfully deployed multi-layered defense-in-depth pervasive security infrastructures using its best-of-breed and market-leading technologies. 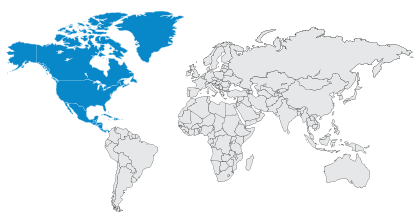 StarLink manages and sells through its channel network and takes pride in empowering them to function autonomously.